Max Linder is in the news! The Russian news source PRAVDA.RU released today this article about our new movie, I am Max, directed by the very talented Edward Porembny at AMP Polska. You can help us complete the movie for a 2019 release. Please donate finishing funds (link: https://www.documentary.org/film/i-am-max ) through our fiscal sponsor, The International Documentary Association and receive a tax deduction. Thank you! 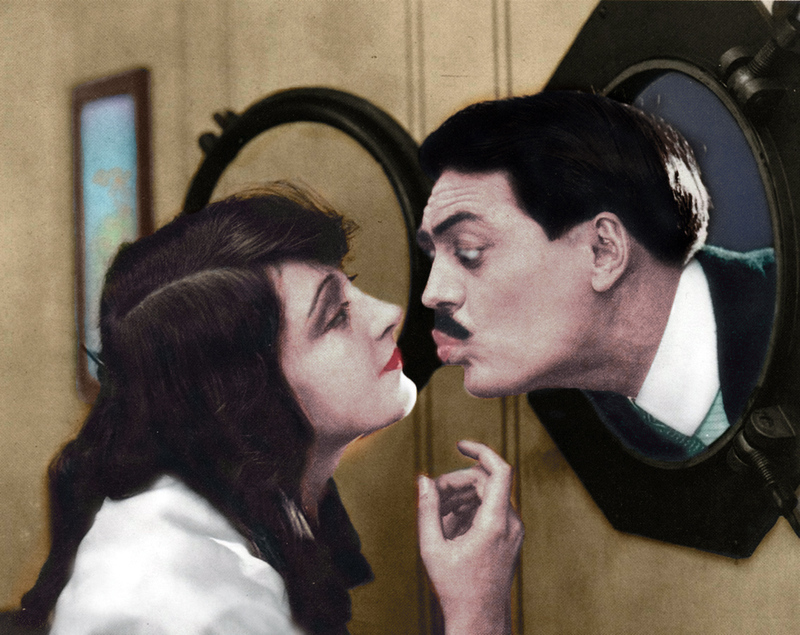 Max Linder, the comic genius, mentor to Charlie Chaplin, has largely been forgotten – but now the movie industry is bringing him back to life in I am Max. Pravdareport is proud to print an interview with Steven Fischer, Producer of the movie I am Max, about the life of one of cinema’s geniuses, mentor to Charlie Chaplin. Give a synopsis of the subject of the movie? SF: I am Max tells the story of Max Linder, widely considered the first international movie star. He was a comic genius and a major contributor to cinema history. He was mentor to Charlie Chaplin and achieved incalculable wealth and celebrity, yet he died by suicide at age 42. How can a man like this be forgotten today? Who got the idea to make the movie and why? SF: The movie was originated by Edward Porembny, the director and lead producer, who is a gifted and award-winning filmmaker in Warsaw, Poland. In fact, earlier this year  Edward won the Cannes Lions for his documentary, To The Last Tree Standing, which he co-directed with Aia Asé who is also working with us on I Am Max. Edward can tell you his reasons for wanting to tell the story of Max Linder, but for me, I was intrigued because of how timely and relevant Max Linder’s life is today. In his lifetime, Linder survived death four times only to die by suicide at age 42. And the first time he survived death, he was an infant, roast in an oven. It was the doctor’s attempt to cure him of cholera. He survived so much and achieved so much, fame and fortune, yet it wasn’t enough to bring happiness. He became so emotionally desperate he felt the only escape was suicide. His story touches also on that fine line between mental illness and genius which I find fascinating. Mental illness, depression, suicide, they’re each timely topics today, especially in the United States. His story touches on issues we see with Marilyn Monroe, John Belushi, Robin Williams…and it was all happening at the turn of the 20th Century. Also, the issue of celebrity and identity is relevant. Linder, who was born Gabriel Leuvielle, created this public persona called Max Linder. And then became Max Linder! This is a story of identity, and maybe even of personality disorder. Who was Max Linder? Who was Gabriel Leuvielle? And if they are two sides of the same person, then his life becomes a wonderful exploration into that complicated thing called the human psyche. And in today’s world where social media makes everyone a Max Linder, that is to say a celebrity in their own world, a discussion what it means to have a healthy public life might be one that audiences would like. We’re excited to tour with our movie and have these discussions with audiences. I think it could be a helpful contribution to the public dialogue. Now, on top of that, there’s the story of cinema history. Linder contributed so much to the history of comedy cinema by either inventing, innovating or at least making popular a lot of what became standard. The idea of a reoccurring character, for example. Before Chaplin developed his Tramp character, Linder was The Dandy, the bon vivant getting into all these jams and crazy adventures episode after episode. He was also Chaplin’s mentor. Chaplin admired his work greatly and considered Linder a teacher. The Marx Brothers, Lucille Ball, so many cinema and television comics tip their hat to Linder’s influence. This in itself is worthy of a movie, but when you add onto that all the social aspects I mentioned, I think you have a story ripe with history, art, and social significance. How things are going right now? SF: We are in post production and preparing for a release in 2019, in time for the Venice Film Festival. Also, the movie will be distributed by Canal+ in France and air on TVP Poland, RTBF Belgium, BNT Bulgaria, RTV Slovenia, CT Czech Republic, SVT Sweden, and RTP Portugal. SF: What we need is an angel investor to support us with finishing funds. Our fiscal sponsor is the International Documentary Association, a 501c3 organization in Los Angeles, California. This means that anyone who donates, gifts, or invests with us receives a tax deduction. We need about 200,000 Euros to ensure we complete on time. We are also seeking a well-known film figure to serve as Executive Producer. For this we have approached the office of Martin Scorsese. He would be ideal to present our movie given his dedication to cinema history and preservation. We are in position to create an artful and entertaining docu-drama. We are using archival footage in a new and creative way. By manipulating archival films, Linder movies, and actuality footage we hope to give an immediacy, as though we are discovering Linder’s life as it happens. For instance, there’s a Linder movie where he is snow skiing and meets a pretty girl. We have put our own dialogue to that footage and re-cut it to look like we’ve captured the moment where Linder meets the woman who becomes his wife. In this way we are dramatizing his life. What is the broader message the movie wants to give? SF: In my opinion the movie warns about the trappings of celebrity: the excess and the danger of believing one’s own hype. It’s a story about identity and it questions us about the blurred lines between our public self and our private self. And it’s a movie that celebrates the art of a true comic genius who has sadly been forgotten. If there’s one message we want our movie to deliver it’s this: This is Max Linder!